The Apple iPhone 4 has today (June 15th) gone live for pre-order with the Apple online store offering the 16 and 32GB handsets at £499 and £599 respectively. Yesterday we brought you details of Vodafone's iPhone 4 price which appeared and then disappeared from a Voda test site. But we're still waiting on the official announcement from all the UK networks. Unveiled during Steve Jobs' keynote speech at Apple's Worldwide Developers conference earlier this month, the iPhone 4 is set to bring, multitasking, video-calling and an HD video recording to the hugely successful smartphone series. - iPhone 4 vs. HTC Desire: Which smartphone is best? A number of UK network providers have confirmed they will hold the Apple iPhone 4 when it is released next Thursday, June 24th but at present have failed to reveal the contract conditions on which it will be offered. Vodafone, Orange, 3 Mobile and T-Mobile are all expected to announce their iPhone 4 pay monthly tariffs today as they look to capitalise on the device's immense popularity and desirability. As well as offering the iPhone 4 on pay monthly contracts, the UK's initial exclusive rights holder to Apple's foray into the mobile market, O2 are to offer the new handset on PAYG, presumably at the same handset cost shown on the Apple store. 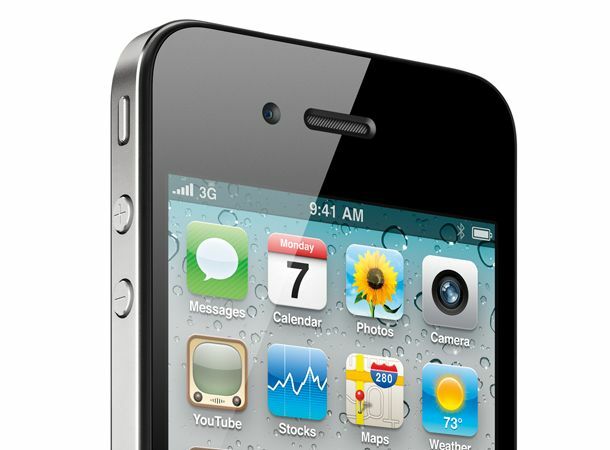 For all the latest news on the Apple iPhone 4 pricing and tariff costs sign on to our Twitter and Facebook feeds. Is the Apple enforced slow down less sinister than you thought?